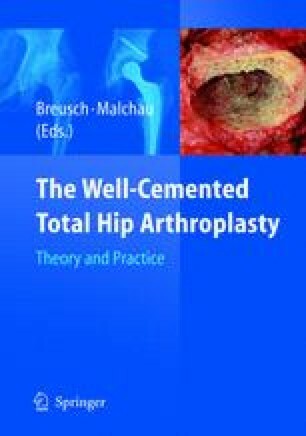 In this chapter we will focus on the femoral side of cemented hip implants and review the outcome in the Swedish Hip Registry. We will also describe the migration pattern of different stem designs over their lifespan and how this information contributes to the long-term outcomes of some of the more commonly used prostheses. Much of this data has been collected through studies using Radio Stereometric Analysis (RSA) data and will continue to provide further insight as these patients are tracked to obtain long term data. Presently, this data has shown that femoral stems that subside more than 0.1 mm in the first 2 years are at a significantly higher risk of failure than stems that exhibit less subsidence.